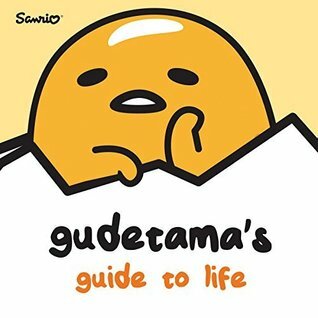 From Sanrio, who brought you Hello Kitty, Gudetama the Lazy Egg returns with a guidebook to living life to the almost fullest. In Japanese, when you're lazy, you are referred to as gude gude. Gudetama (tama from "tamago," egg in Japanese) is the lazy egg. Gudetama likes soy sauce and being left alone. Sometimes, Gudetama wonders if we are born only to suffer. Each page of this book is kind of packed with helpful lessons, inspiring quotes and mind-blowing advice that will have you laying around like an egg in no time! And all of it comes straight from the yolk of a Gudetama! Notes and Opinions: This was an adorable little book for all ages. If your looking for a good laugh then check this one out. I would recommend this one for someone who really needs something light and funny to read. You will laugh so freaking hard with this one!! Its a great book for all ages as I said but really adults will totally fall in love with this one. I could see you putting this one in your purse or bag and taking it out and reading it when you are stressed. If you don't like adult coloring I would give this book a try! Go Into This One Knowing: Laugh out loud!! !